A few Sunday's ago we decided to take the scenic ride back home after going out for lunch after church. 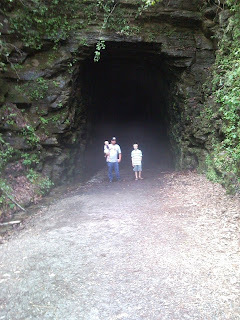 We drove to a place my husband just loves to go to--Stumphouse Tunnel in Oconee County, South Carolina. The tunnel was first proposed in 1835 by residents of Charleston, South Carolina as a new and shorter route for the Blue Ridge Railroad between Charleston and the Ohio river valley area which until then was only accessible by bypassing the mountains entirely to the South and then traveling up north through Georgia and middle Tennessee. In 1852, 13 miles of tunnel were proposed to cross the Blue Ridge Mountains through South Carolina, North Carolina, and into Tennessee. Construction on the railway was begun in the late 1850s and was successful through most of South Carolina until hitting the mountains around Wallhalla in Oconee County. There Stumphouse tunnel along with three other tunnels was to be built. Construction on Stumphouse tunnel began in 1856 when the George Collyer Company of London. By 1859, the State of South Carolina had spent over a million dollars on the tunnel and refused to spend any more on the project, therefore the tunnel work was abandoned. The tunnel had been excavated to a length of 4,363 feet of the planned 5,863 total feet. Today, where the tunnel was meant to end on the other side of the mountain, there remains a mound of earth (intended for the railway tracks) submerged during the summer months under Crystal Lake, located just west of Highway 28. Inside the tunnel the temperature is a constant 50 degrees with humidity of 85%. Beginning in the 1950s Stumphouse tunnel was used by Clemson University to grow blue cheese until the 1970s when the blue cheese operation was relocated to air-conditioned cheese ripening rooms where the tunnel environment was duplicated. 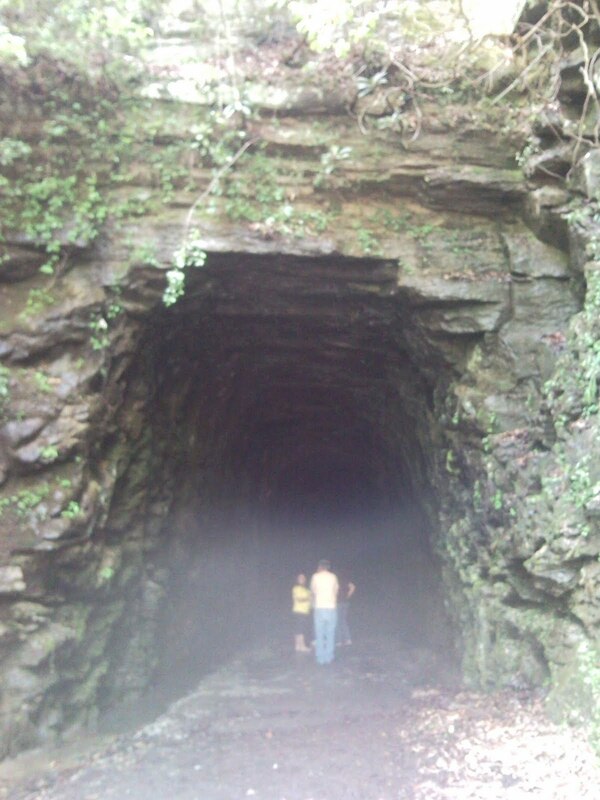 Today, Stumphouse tunnel is operated as a public park along with nearby Isaqueena Falls by the city of Walhalla. The tunnel is easily accessible by foot, a few yards from a gravel parking lot. The structural integrity of the tunnel is solid and almost no cracking is apparent minus an enlarged vent halfway through the tunnel. In 1999 this vent was impacted by a rock slide, however in 2000 the town of Walhalla re-excavated the tunnel and safely returned it to public use. The Stumphouse Tunnel Complex was named to the National Register of Historic Places in 1971. The tunnel is really dark! We were lucky to have a flash light so that we could walk in the tunnel. We didn't get to walk all the way to the end of the tunnel like we have before. I found while I was looking up the history for this post that there was a cave in at the vent shaft which is not far from the end of the tunnel. So we only got as far as where the blue cheese doors are. I took a picture looking from inside the tunnel to the tunnel entrance. 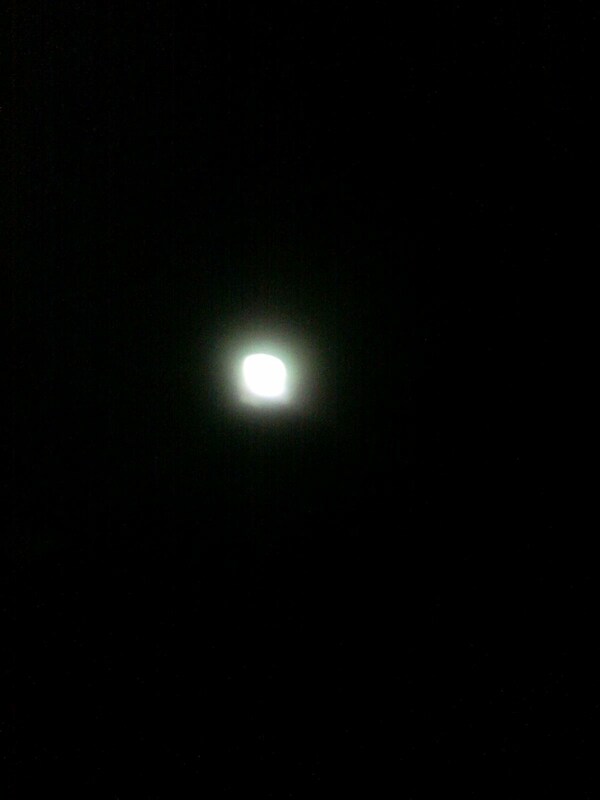 It looks pretty spooky looking! At the entrance there was a low mist that came out of the tunnel the day we were there. It was a hot day and the cool air from the tunnel hit the hot air of the day caused this low mist that you can see from the picture I made of the boys at the tunnel's entrance. This is a great place to bring the kiddos! You not only have the tunnel to explore, but a great waterfall that is an easy hike from the tunnel's entrance. The falls are called Issaqueena Falls and is beautiful! We didn't hike down to them the day we went to the tunnel due to the fact that we didn't bring the backpack carrier for Hamp. Hubby and I decided that we didn't feel like having to carry him without the backpack carrier! If you are ever near Wahalla, South Carolina, be sure to stop off and see this fascinating place! Oh wow, the tunnel looks GREAT. BTW, when trying to subscribe to your feed, I entered my email address and a new window popped up saying "The feed does not have subscriptions by email enabled". Thanks Agnes! I'll check into the subscribe feed issue.